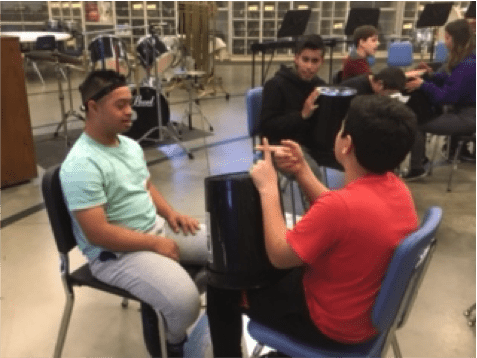 The purpose of the project was to create a fully inclusive performance based music program that pairs students with special needs and physical disabilities with general ed students who have never before enjoyed a performance opportunity. Playing a musical instrument engages us mentally, physically and emotionally like no other activity and bond performers in a unique way. We wanted all of our students, regardless of ability, to benefit from this process. Performance now includes handbells, Orff instruments, boomwhackers and bucket drums. A very tearful impact. 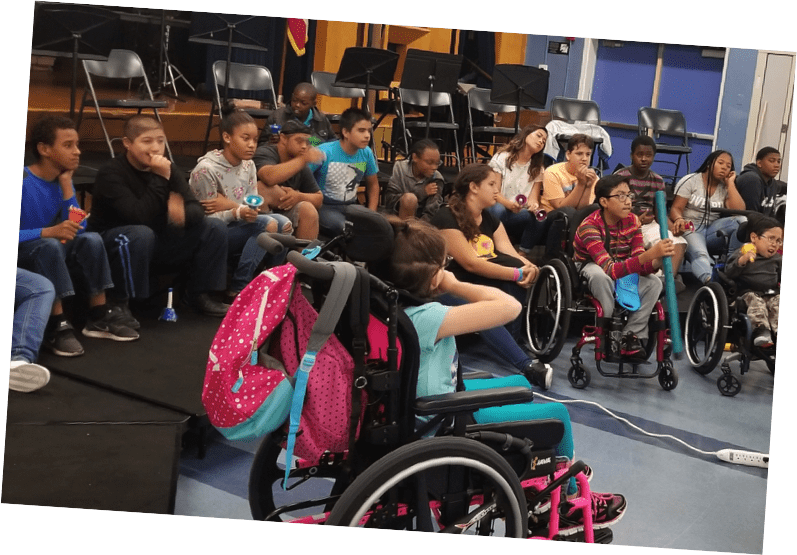 Our hearts are likely to burst as we watch students who are physically or learning impaired participate and perform en masse with other students in such a way that you cannot tell one child from another. How did you update/change this project from its previous occurrence? We adapt and change according to our students needs; no two years are alike. Year one was learning our footing. 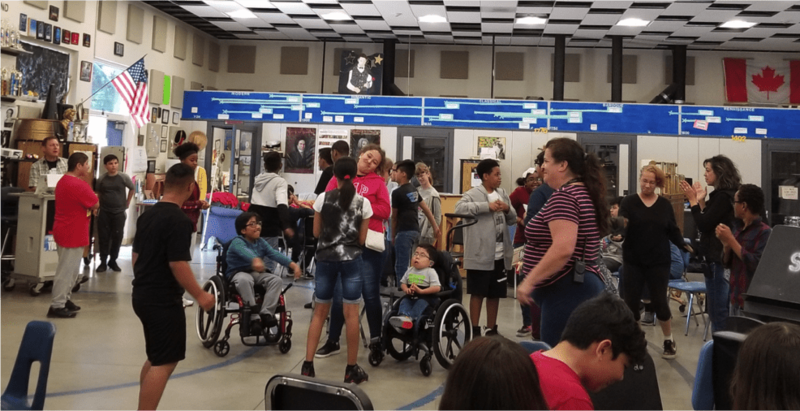 By year two, second year students with special needs are demonstrating for and teaching the new general ed students how to perform. This is a student led class. Measurement of the success/effectiveness of this project? 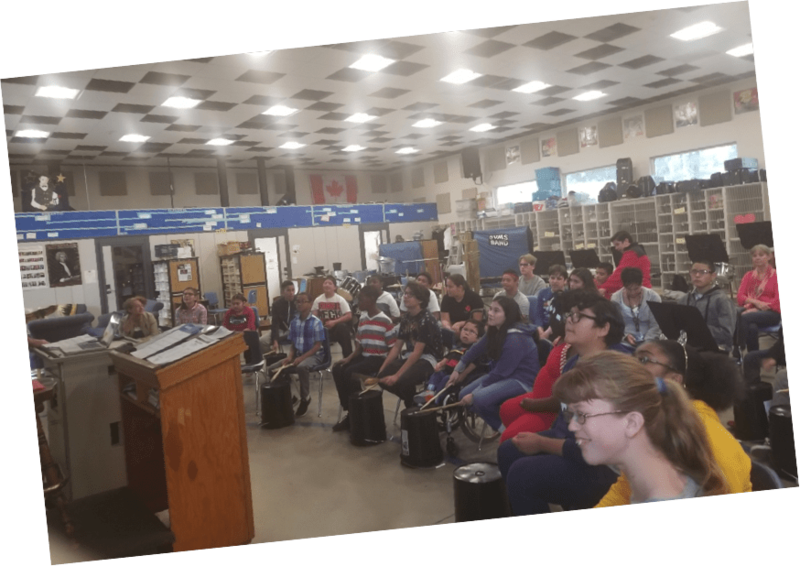 We measured the success by conducting a survey both at the beginning and again at the end asking students to rate their experience with music as well as an anticipatory set of what they expected to learn or accomplish. Success was further measured by observation and by audience response. We deemed our class successful by the knowledge rolled forward with returning students. 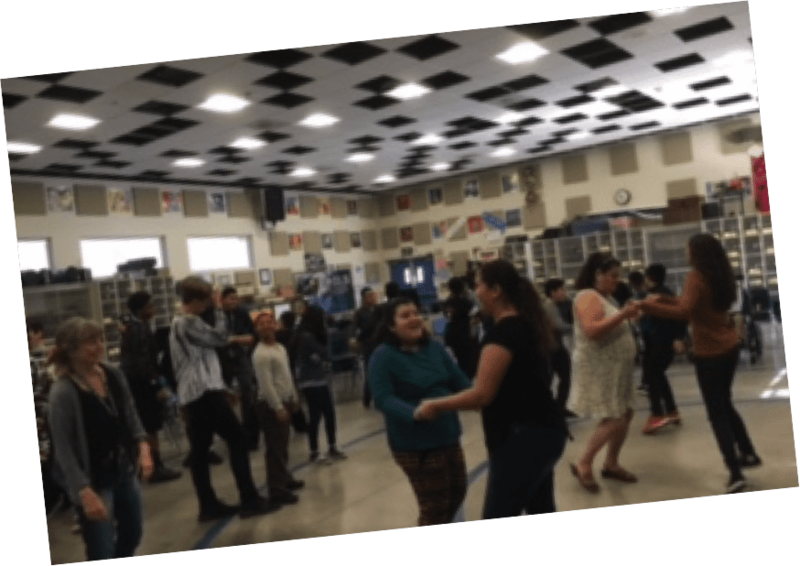 We deem the class successful by the encouraging results of student response and our administrations desire for the class to continue and by the school district showing interest in the class being duplicated at other sites. We asked the question at the beginning, “will a class like this improve knowledge and understanding between the peers, will music be of a benefit to them?” When you observe student who are “normal” bonding with others who are learning or physically disabled, when you see students who are medically fragile respond to the sound and activity of music you know you are being successful. Advice for someone looking to replicate this project in their own community? First and foremost have patience and have fun. This is a learning process. Set up a safe place, learn together the about each other and our needs and limitations. This IS Advocacy in Action. How are you convincing your community to bolster music education and leave everyone better off?